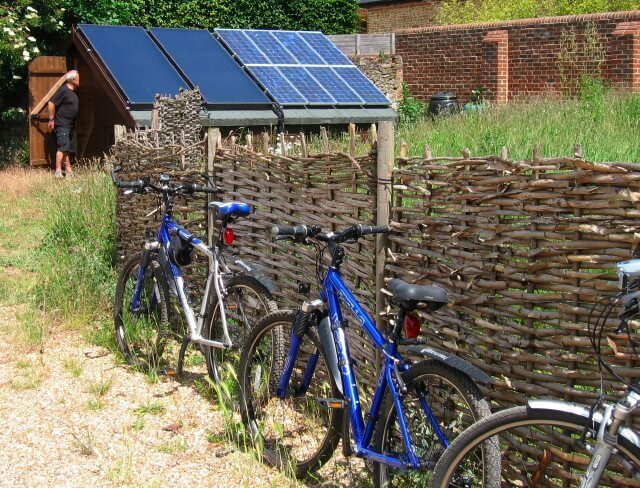 Eco barn: Walkers and cyclists camping barn on the North Downs Way in Surrey. 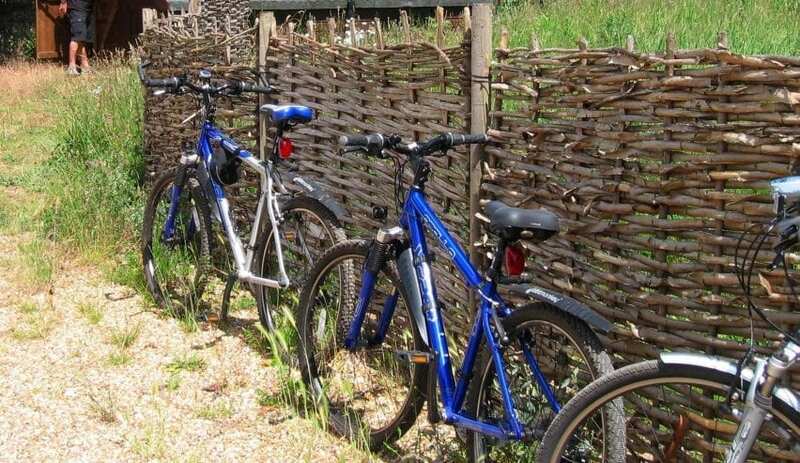 Puttenham Eco Camping Barn offers simple overnight accommodation and a warm welcome for walkers and cyclists - individuals, families or groups - in the Surrey Hills Area of Outstanding Natural Beauty. 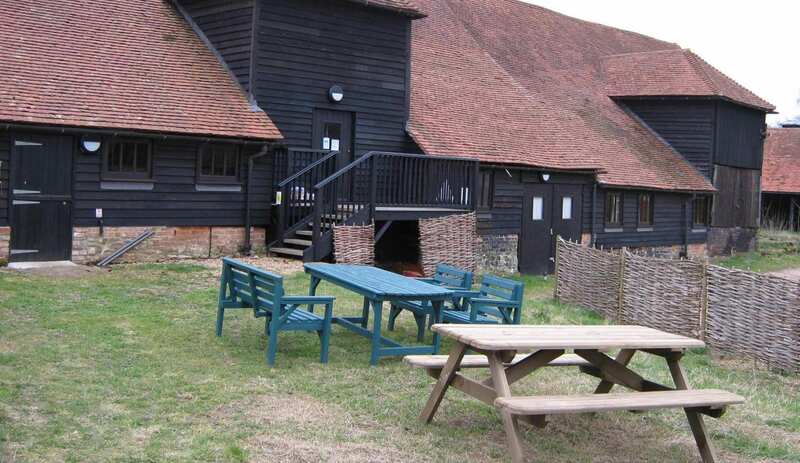 Located on the North Downs Way and Sustrans NCN22 cycle route, the Barn has a fully equipped self-catering kitchen, a shower, toilets and foam covered sleeping platforms, as well as a garden with picnic benches. Electricity and hot water included but bring your own towel and sleeping bag (or hire one - £3 a stay). Evening meals are available in the village. 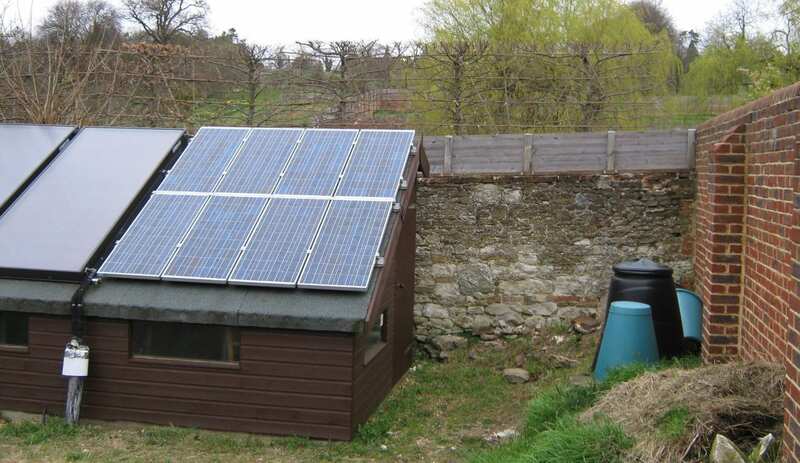 The Barn has many sustainable features including solar panels and rainwater collection for flushing toilets. NO CARS ON SITE. Excellent cycle shed. Young people are welcome but must be accompanied by a responsible adult. The Barn is wardened. Lights out 11.30 pm. 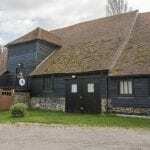 Barn website gives suggested walking routes: One from Godalming station to the Eco Camping Barn, the other from the Barn to Farncombe station (both stations being on the main London-Guildford-Portsmouth railway line). This accommodation is featured on our map of South of England and South East England and here is its own website. April 13th to Oct. arrive after 5pm leave before 10am. No access 10am-5pm. £15 adults; £12 aged 5-17 (accompanied by adult). Sole use by arrangement. £3 `green` voucher if arriving on foot, cycle or public transport. Essential. No stag or hen parties. GR SU 933 479. In Puttenham village (halfway between Farnham and Guildford) the Camping Barn is on North Downs Way - opposite the church. Trains (08457 484950) at Wanborough (3.5 km), Guildford (7 km) and Farnham (9 km). Bus 65 (0845 1210190) from Guildford and Farnham stops within 1 km of Barn, or bus 46 to Watts Gallery, Compton & follow North Downs Way 2 miles west. 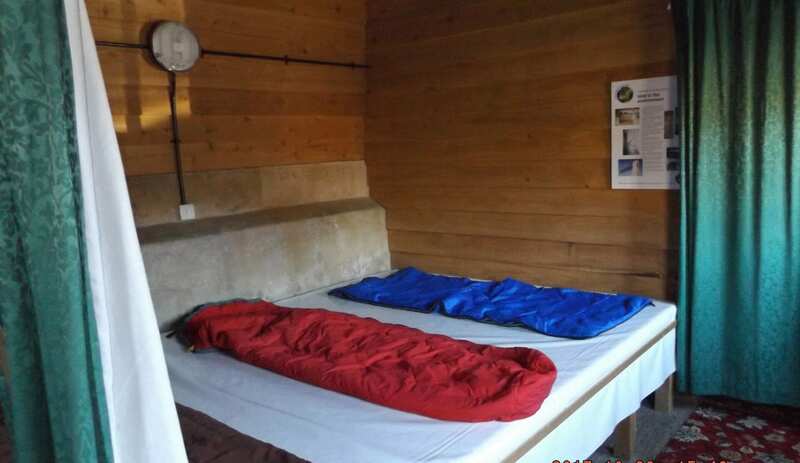 This accommodation is available to individuals, is an 'Eco Hostel', has a pub within walking distance and is on the IHUK signage page and the camping barn map. 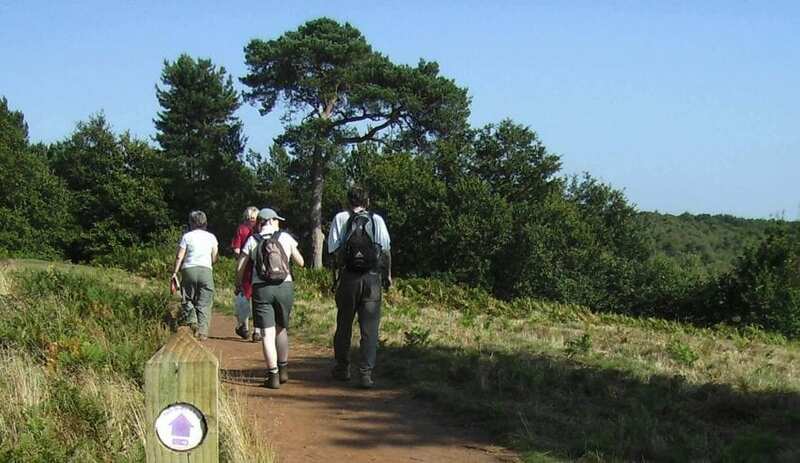 Support a local charity while having a wonderful holiday in the surrey hills! 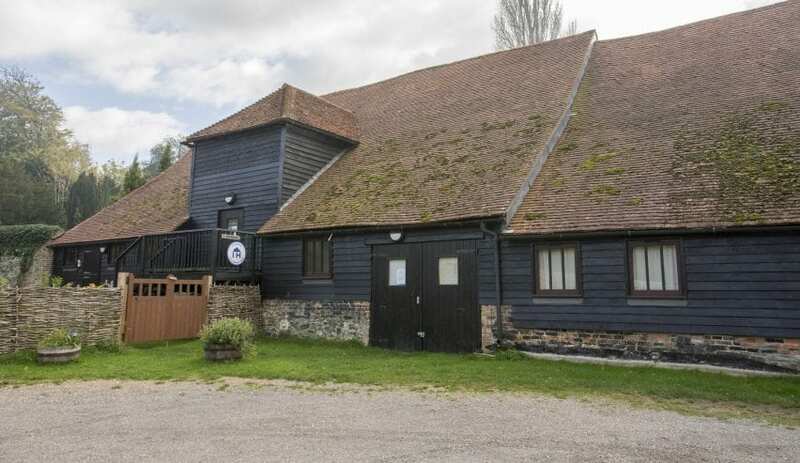 Run entirely by volunteers, Puttenham Camping Barn aims to keep prices low and quality high so groups and families can continue have the quality low-price holidays they deserve! 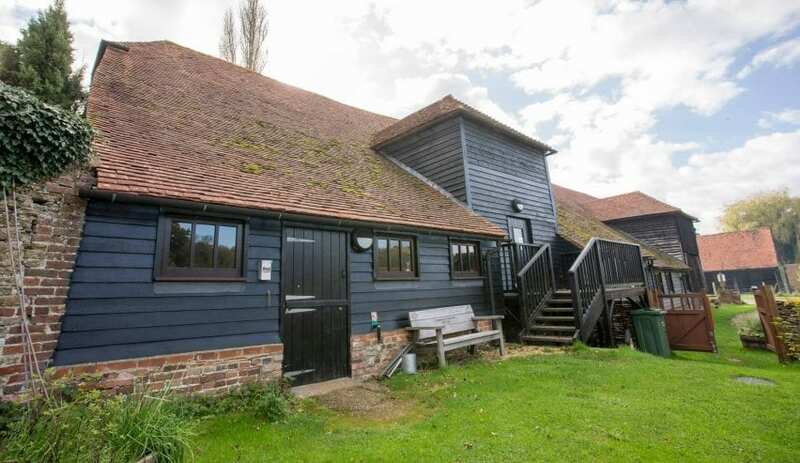 Puttenham Eco Camping Barn on the North Downs Way in Surrey is run entirely by volunteers who raised £120,000 to provide low-priced accommodation for walkers and cyclists. 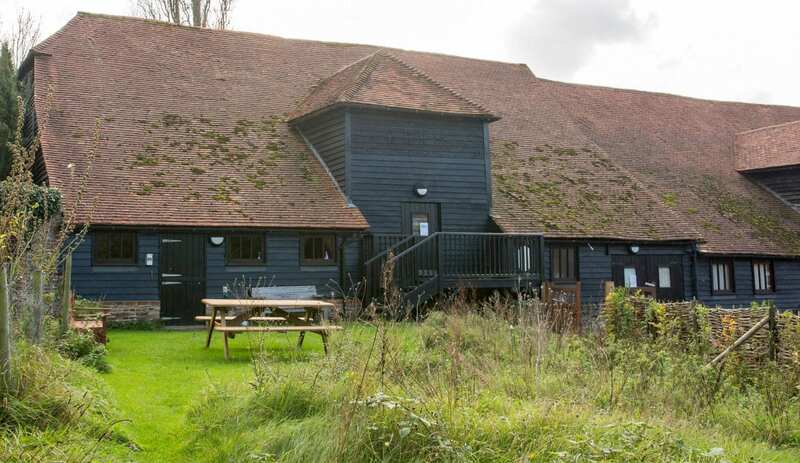 Working in partnership with the YHA for many years this historic Surrey Barn has provided great holidays for thousands of groups and families. The accommodation is environmentally-friendly and works in harmony with the surrounding village, where evening meals are available at the village pubs. Support this local charity, and have a holiday in the wonderful Surrey Hills at the same time. 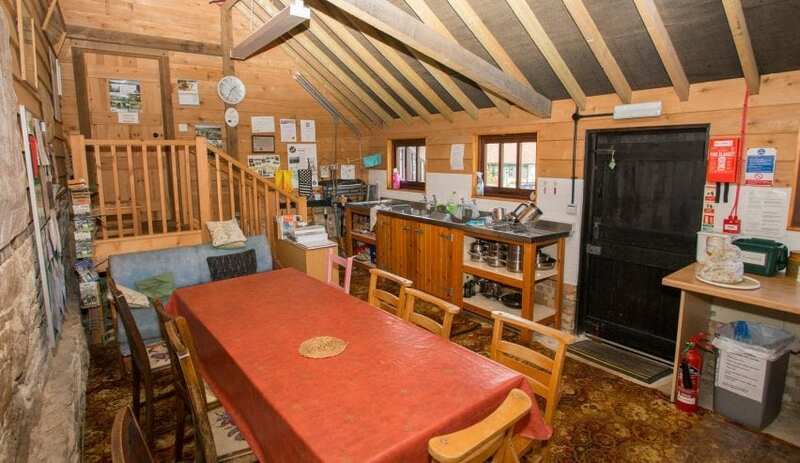 Puttenham Camping Barn is a beautifully converted real barn. It relies only on natural heating and so can be cool – but always with a warm welcome. The Camping Barn offers a ‘green’ voucher worth £3 off your accommodation when you arrive by foot, cycle or public transport and absolutely no motor vehicles beyond the road entrance, even for unloading luggage. 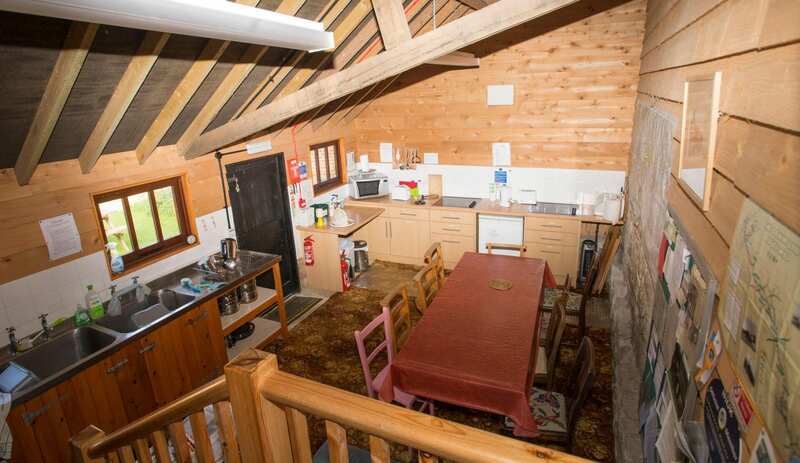 The Barn has an excellent kitchen and there are two good local pubs for food. 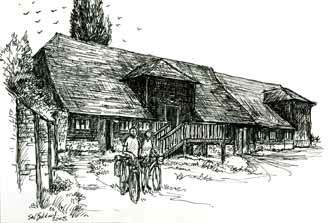 Puttenham Camping Barn, in rural Surrey, now has online booking. Sleeping up to eleven people this historic barn has self catering facilities and costs only £15 a night. Arrive on foot for a further £3 green discount. 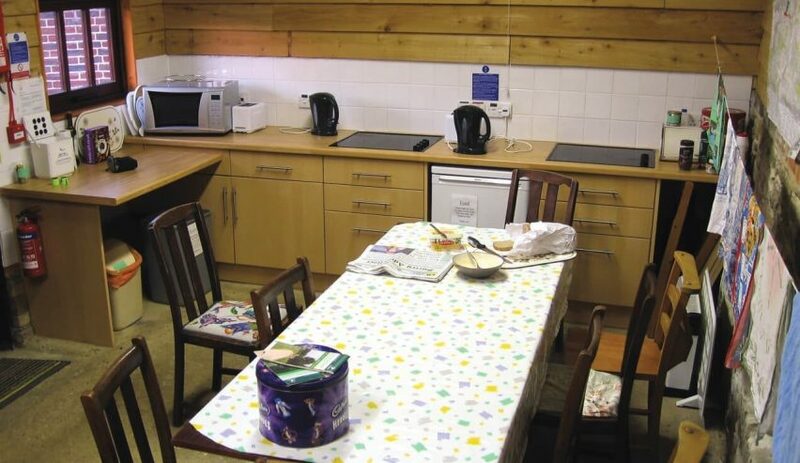 The camping barn is in the quiet village of Puttenham in the Surrey North Downs. From the barn you can explore the North Down Way, calling in as the Watts Gallery 2 miles from Puttenham on the walk to Farnham. Follow the Christmas Pie Trail home from Farnham for a great day out. Book online here.